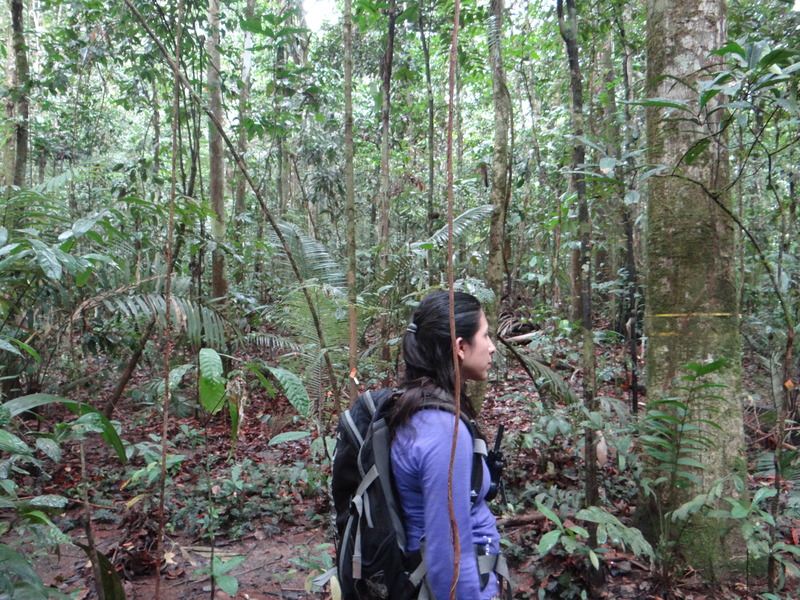 One cannot think of a better way to spend the Spring Break than working in the Colombian Amazon. 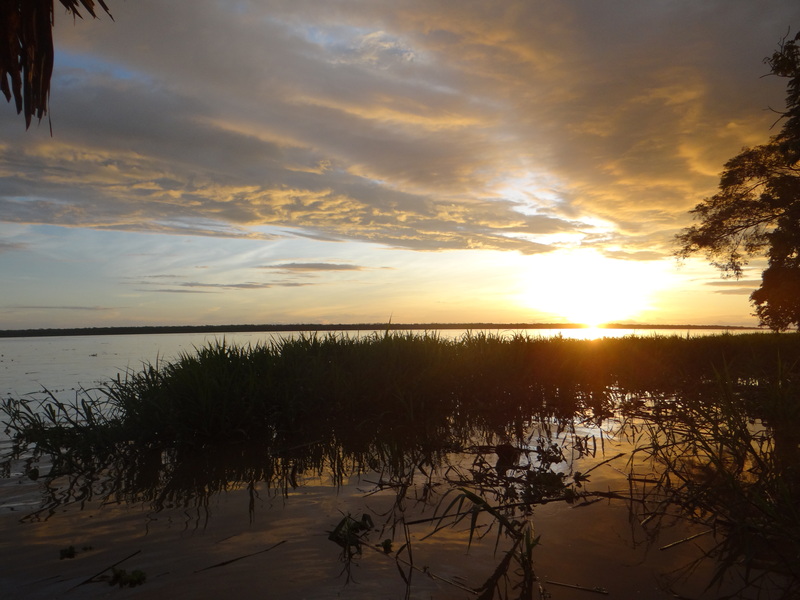 Sharing this very sentiment, four students of the Feeley Lab, Catherine Bravo, Tim Perez, James Stroud and I (Belén Fadrique), as well as Dr. Feeley himself, travelled to the heart of the Amazon. 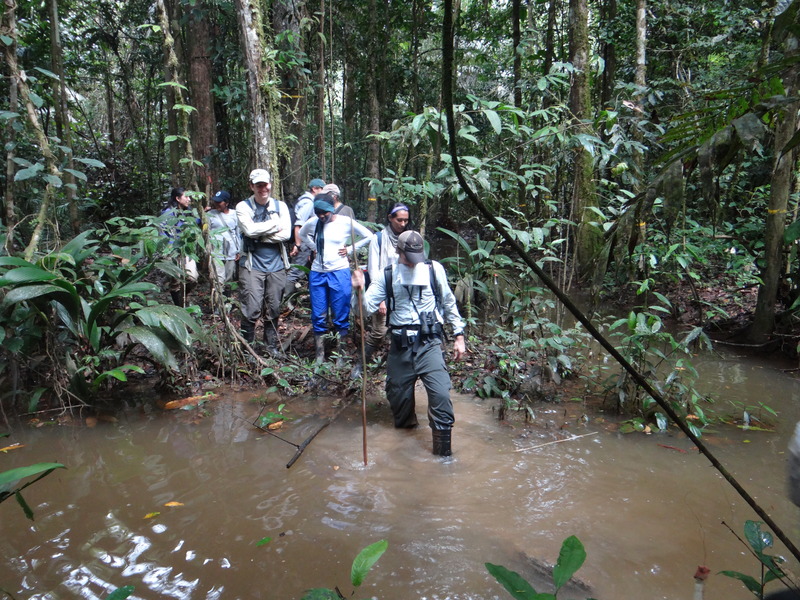 The objective was to carry out research projects that will contribute to the conservation of Amazonian biodiversity. For this reason, we went to one of the most highly diverse forest in the world, the Parque Nacional Natural Amacayacu, located close to the border between Colombia, Peru and Brazil. For accessing the park we had to go to Leticia, a Colombian city known as the door of the Amazon. From there, we took a boat that sailed along the Amazon river, stopping at the indigenous communities until arriving to the Amacayacu station. 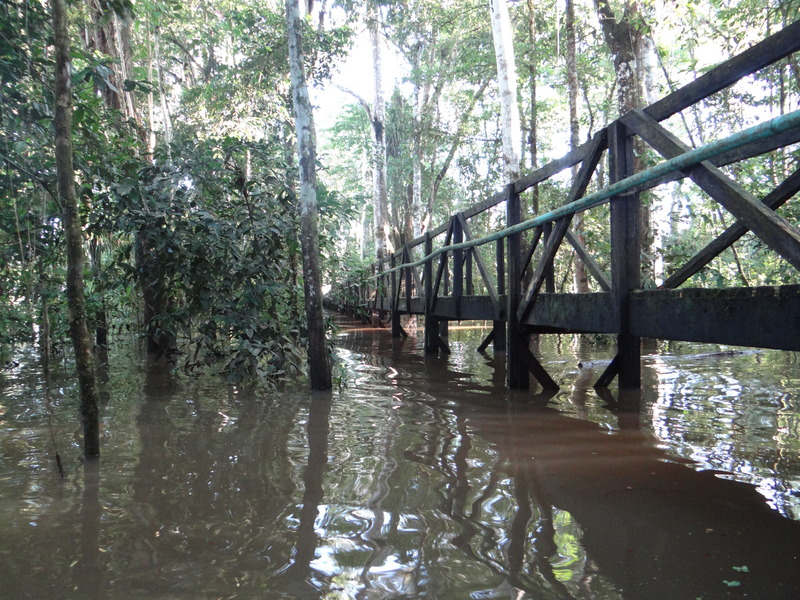 The station is built on the Amazon shore and as we were in the rainy season, the only way to arrive there was by boat. We were a diverse group formed by the four FIU students, two undergraduate students from Universidad Central Medellin, Andrés Barona, plot manager, Dr. Juan Saldarriaga, invited professor, Dr. Feeley and Dr. Alvaro Duque. As a whole, we added up to five nationalities, therefore breakfast and dinner were moments for comparing and contrasting the different cultures and traditions of our own countries. Dr. Duque was the person who made this adventure possible. He invited us and provided us with all the necessary logistics for the success of our projects. Dr. Duque is the Principal Investigators of the plot. 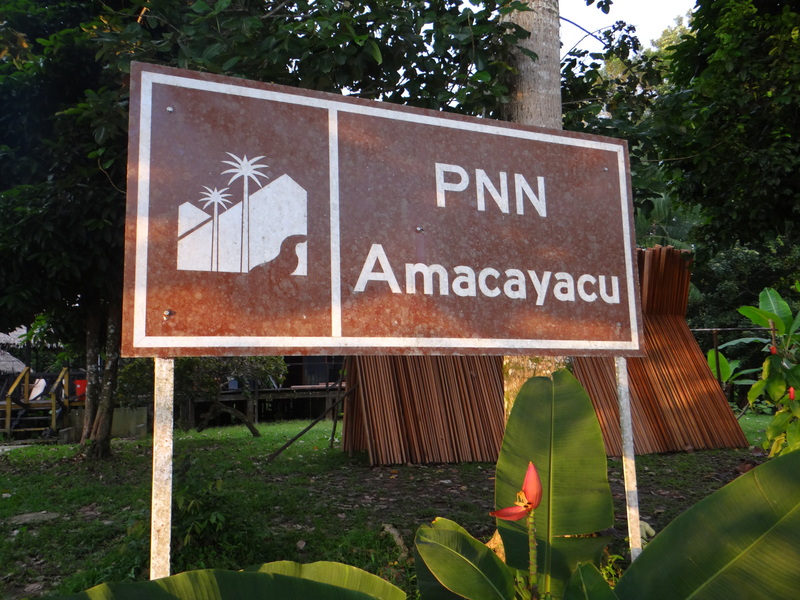 The Amacayacu plot (-3.80917, -70.2679) is part of the CTFS (Center for Tropical Forest Science) network; it was established in 2007 and has an extension of 25ha. The plot is located in the tropical moist forest life zone (Holdridge et al., 1978) in the Pebas formation, on Tertiary sedimentary plains characterized by a hilly and slightly dissected topography. Annual mean precipitation is 3000 mm and monthly average temperature is 24-26ºC. In the plot, all trees are tagged and identified following the CTFS protocols. In order to reach the plot from the station, we had to go through the flooded forest by boat. The first day, Dr. Duque and Andrés Barona offered a guided visit where they showed us basic notions for orientation inside the plot. I don´t think I was fully oriented until the last day of work. During the five days of field work, we collected and processed leaves of understory species located on different levels of soil convexity, a proxy to soil moisture. Tim Perez measured several leaf traits and Catherine Bravo investigated drought tolerance. 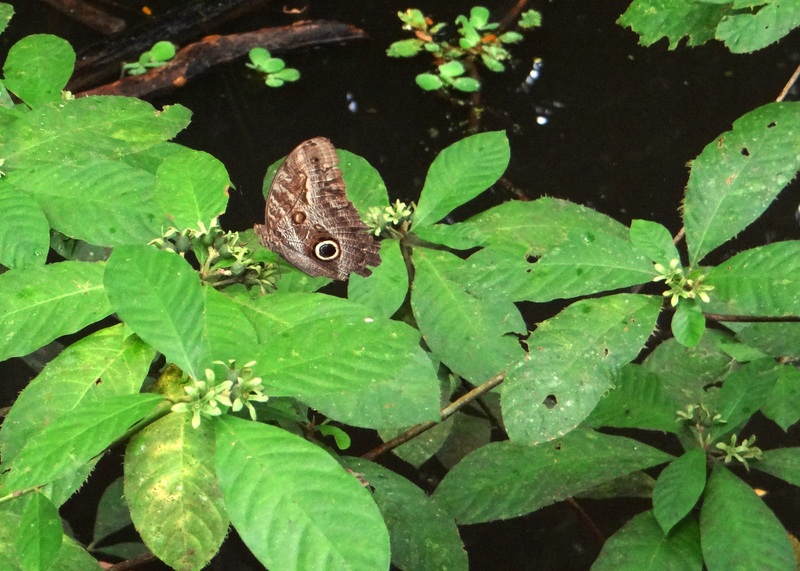 The common goal of our projects was to study phenotypic plasticity in understory species. My project about intra-individual plasticity and the temperature-size leaf relationship did not work for technological difficulties. For that reason, I started another project that would contribute to both, diversity conservation and to the other projects carried out by the lab. Therefore, I decided to study herbivory patterns in understory species. I scanned the collected leaves in order to calculate, by using computer software, the percentage leaf consumed by herbivores. With this information, I could relate the herbivory percentage with the rest of the functional traits measured and with the soil convexity. Maybe thinner leaves are consumed more. Or maybe, if the leaves are tougher they can avoid being eaten by herbivores. Would this change with convexity? Results from this and the other projects will arrive soon to this blog! This experience has been a unique opportunity which has reminded me why I do what I do. Studying for weeks for an exam is worthy if at the end I get to go to the heart of the jungle, wonder why things are like they are, and I get the support for researching and experimenting until my questions are answered. Additionally, this journey allowed us to establish new links between the groups of Dr. Feeley and Dr. Duque and to strengthen the already existing collaboration. In addition, this project was the result of the joint collaboration of the different participating institutions in the initiative: Socios para la Conservación de la Amazonía Colombiana, which funded me to carry out the project and which I am very grateful for.